Wood provides a weekly pick-me-up throughout a year's time. She suggests that you pick up the book on a weekly basis, or select topics germane to your situation. This is a small book and can surely be toted to any venue. 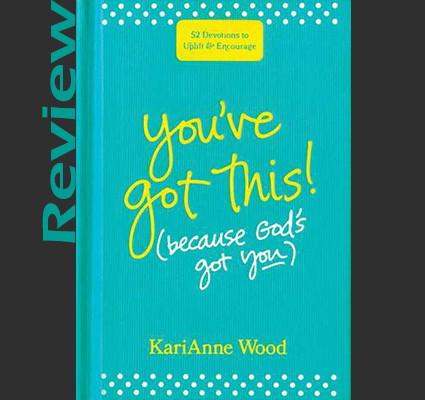 Included is plenty of scripture and plenty of hard-won insight. He loves us when we feel unlovable. He offers us his sin-cleansing love and hope for the future. When I'm struck by the lightning of a crisis, he heals my wounds. Do you need a little hope today? No matter what you’re facing, God is always by your side. 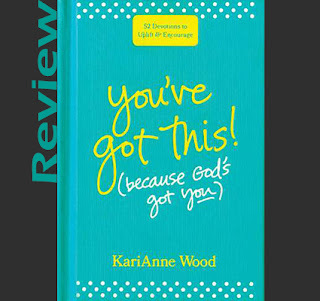 These 52 devotionals will help you shine with the strength and confidence that only God’s love can bring (and you’ll laugh a little along the way). Through Scriptures, stories, and prayers, you’ll see that he’s walking with you through all your tomorrows?and together, there’s nothing you can’t do. You’ve got this . . . because he’s got you!